Two Bays and Saltwater Projects has been immeasurably enriched through collaborating with Harry Breidahl. 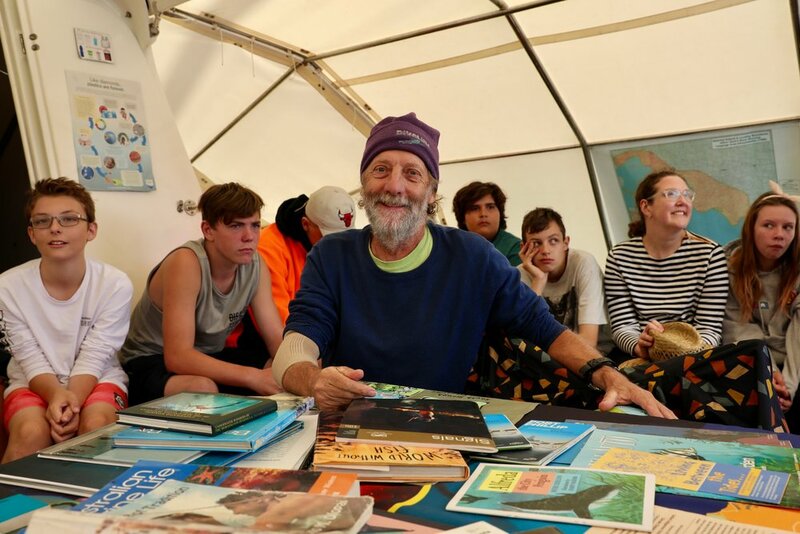 He has been a force to be reckoned with in the environmental education space for over four decades. Every time he steps onto Pelican1 for a teaching journey with kids or adults, he is animated by a powerful curiosity that drives his love of marine knowledge and sharing it. We have collaborated for nearly 10 years and over time the sea classroom on Pelican1 has become a thriving experiential learning space. It is always wonderful to see the discursive quality of Harry's teaching- bouncing off the endless questions of students and sparking a terrific engagement with marine learning that we hope will last a lifetime. Newer:Psychedelic world of the nudibranchOlder:Meet our new First Mate- Wayne Hill. As you can see, Pelican1 is in good hands.